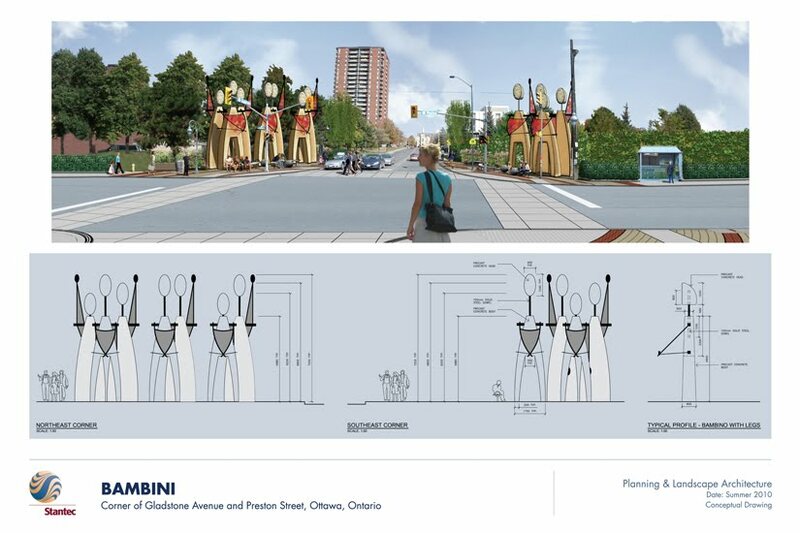 At its September meeting, the DCA discussed the Bambinos project proposed for the corner of Gladstone and Preston. The Association is firmly in favour of a gateway feature at this location. We appreciate the work of the BIA and its funding of the gateway. Other innovative projects of the BIA have worked out well. While we regret the loss of some trees at this location, their loss is mitigated by the additional landscaping along the street and improved pedestrian environment proposed for the corners of Preston/Gladstone. The Bambinos project is innovative in that it is not part of the 1% art program, and is privately funded. It will have a high neighborhood profile. The Association encourages the City and BIA to hold a public opportunity for residents, visitors, and business people to see the proposed Bambinos before construction.